Called Washburn to ask about the two guitars and was informed that they are to come out later in the year. I asked about the differences to the other HB35's.The guy said that it is still not final what features it will all have.What he did say is that they will most likely have Seymour/Duncan pus and improved hardware along with some other things. I told the guy that I will be waiting to get my first HB until I get to check-out one of these. Anyone know of any artist that use an HB series guitar? 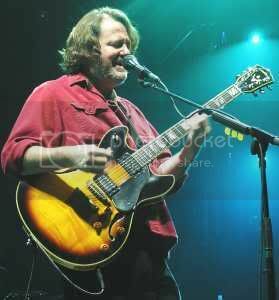 John Bell from Widespread Panic, just one of many. Ya.I just started to look for the Washburn hollowbody guitars in pics of different artist.